Do you wish to build an awesome website for your startup? Do you have great ideas hovering in your head 24×7, but limited means to execute them to all and see what fits best? Despite having a truckload of great ideas, startups often struggle with the task of website creation, primarily due to time and money crunch. Designing an attractive, functional, and optimized website often requires a substantial amount of time and money investment, especially if you hire a top-notch designer! But what if we told you there’s a better way out that allows you to experiment with numerous ideas and designs before you find the perfect match? Ever heard of website Mockups? Mockups are essentially a blueprint or a visual representation of how your website ‘will’ look. These mockups allow you to experiment and validate your ideas with many different styles, layouts, and designs before you finalize on a particular design for your website. With Web UI Mockup tools, you no longer have to pay a lot of money to a web designer and just ‘settle’ for the design he/she created, but you can experiment first, finalize on a particular design and layout and then hire a designer to get it done! In the process, you save a lot of time as well as money. So, it’s a definite win-win! Now, let’s have a look at some of the best Web UI Mockup tools in the market! If you’re on the lookout for a one-stop-shop Web UI mockup tool, Mockplus is what you need. With this innovative tool, you can not only create mockups of your website for desktops but also for mobile devices (both iOS and Android). The best part about Mockplus is that it is a great tool for beginners who have little or no knowledge of coding and programming. It has over 200 components and more than 3,000 icons to help you create and design mockups, all the while ensuring that the mockups adhere to the best and latest design norms. While Mockplus offers a seven-day free trial to all users, purchasing the “Unlimited Perpetual License” allows you to enjoy all Mockplus Pro features for life! It offers three subscriptions with varying annual pricing options: Individual ($199 for an individual user), Team ($999 for one team), and Enterprise ($4,999 for one enterprise). No need for coding to create wonderful designs! If you’re still not convinced about the credibility of Mockplus, you should know that it has some of the most reputed companies as clients including IBM, Microsoft, Oracle, Siemens, Ubisoft, and Intel. Balsamiq is undoubtedly one of the best Web UI wireframing tools available in the market. With features such as “Quick Add” and “Sketch-Style Controls” and a resourceful UI Library, Balsamiq is just what you need if you’re looking for speed and efficiency. Putting your ideas into the computer screen with Balsamiq requires very less time and effort, thereby giving you more opportunities to experiment with lots of designs. Since you get to experiment faster, you get an extended time-window for writing a functional code for your website. The “Drag and Drop” feature on Balsamiq makes your work so much easier! One of the best features of Balsamiq is that you can get instant and honest feedback on your mockups. Meaningful feedbacks give you a nudge in the right direction and help you improve your designs significantly. Balsamiq has a free thirty-day trial version for both the desktop application and the cloud web application. For the Balsamiq cloud version, there are three pricing policies according to the number of projects undertaken – 2 Projects ($90/year), 20 Projects ($490/year), and 200 Projects ($1,990/year). The Single User License for the Desktop Mockup costs about $89/year and it is also available under the Volume License and Upgrade License, each having different pricing policies according to the number of users. Wireframe.cc is a neat and simplistic Web UI mockup tool that offers the user a “clutter-free” designing interface. Unlike the two mockup tools mentioned above, Wireframe.cc offers limited options to choose from (reinforcing its simplicity) so that you never lose sight of your core idea within a jungle of fancy options. Also, the working of Wireframe.cc is slightly different as in here you’ll have to create your designs in a drawing area that has some helpful formatting buttons aligned on the top bar. Simple and neat drawing interface. For first-time users, Wireframe’s demo tour is immensely helpful as it shows you all the ropes. One of the most unique features of this tool is its Context Sensitive UI – most of the features of the UI appear before you only if you need them. There are three different templates to choose from – a mobile, a tablet, and a browser window. Wireframe.cc comes both in free and premium versions. The premium version has three pricing options: Solo ($144/year), Trio ($390/year), and Enterprise ($990/year). Moqups is an online design platform that is excellent for creating as well as collaborating with your team to build mockups, wireframes, and prototypes. It allows you to work remotely from anywhere, anytime, and on any device via the cloud. So, if you’re working with a team, your work always remains in sync with that of every other team member. Experiment with your ideas before you finalize on one option. Some of the best features of Moqups are its built-in icon library, ready-to-use stencils, and an extensive selection of styles. Apart from this, Moqups also has a highly scalable and intuitive Page Management and Object Editing features that make your work of editing and handling your pages super smooth. Professional tools make designing interesting and easy. Moqups has a free and a paid version. While the free version offers you only a limited range of features and options, the paid version comes with three different plans and pricing policies: Personal ($156/year for a single user), Creative Team ($228/year for 3 users with the prices going up higher according to the number of users), and Enterprise (users have to request a quote from Moqups). If you’ve been searching for a free Web UI mockup/prototyping tool, Adobe XD is the best match for you! Adobe XD is an all-in-one UI/UX tool best suited for designing websites as well as mobile applications. It is fully optimized so you can design and preview mockups and wireframes on the desktop, a mobile, or a tablet ( a great feature as you get to see how your site will look on different screens and devices). And not just that – Adobe XD has been designed in a way that it runs seamlessly and smoothly both on Mac and Windows platforms with the same precision and speed. So many components to choose from! Adobe XD has an array of fancy designing options including free UI kits, icons, Creative Cloud, Adobe Photoshop, and much more. And the best part – all your data is automatically synced and stored in the Creative Cloud meaning that you never have to worry about losing your valuable data! Taking design to the next level! Fluid UI is a web-based app that allows you to create mockups and wireframes for your website on the desktop. Its features are completely streamlined, optimized, and assembled neatly in one place so as to enable faster and better designing. Collaborate with your team on prototypes in real-time. Fluid UI has over 2,000 built-in components and libraries especially curated for wireframes and material design for both iOS and Windows. Also, if you have your own graphics components, you can add them to your personal library so that all your options are clubbed in one place. Furthermore, Fluid UI has a highly intuitive and interactive interface loaded with wonderful animation features (fade in, pop in, flip) and options. You can also add links to your mockups and prototypes to establish a clear link between the pages. Like Moqups, Fluid UI too allows you to work as a team where all the changes remain visible to the entire team at all times (changes are synced in real-time). To make teamwork easier, Fluid UI has a video calling feature and a Lock Screen feature wherein you can lock the page on which you’re working on so that no one else can make changes on it simultaneously. Fluid UI has a lifetime free version as well as a paid version with three pricing plans: Solo ($99/year), Pro ($229/year), and Team ($499/year). An innovative app created for designers by designers, Marvel is an excellent tool for creating mockups and prototypes. It has a very low-learning curve which means that you don’t need any software experience to work with Marvel. To make the designing process fast and convenient, everything – from design to development – is automated. Lots and lots of designing options to choose from! Marvel has excellent designing features with which you can create wireframes and interfaces within minutes! Moreover, it allows you to download graphic assets for your designs and prototypes in a jiffy with just one click. Marvel has a centralized feedback feature where you can get instant constructive feedback on your designs and wireframes and improve upon them. Marvel comes in free and paid versions with the latter offering three different plans and pricing policy: Pro ($144/year), Team ($504/year), and Company ($1,008/year). MockFlow is a full stack UX solution for designing mockups of sitemaps, wireframes, and web pages, to name a few. It comes with many fantastic features such as WireframePro, SiteMap, StyleGuide, DesignCollab, AnnotatePro, and WebsitePro. MockFlow is available both as a desktop app and a web app. 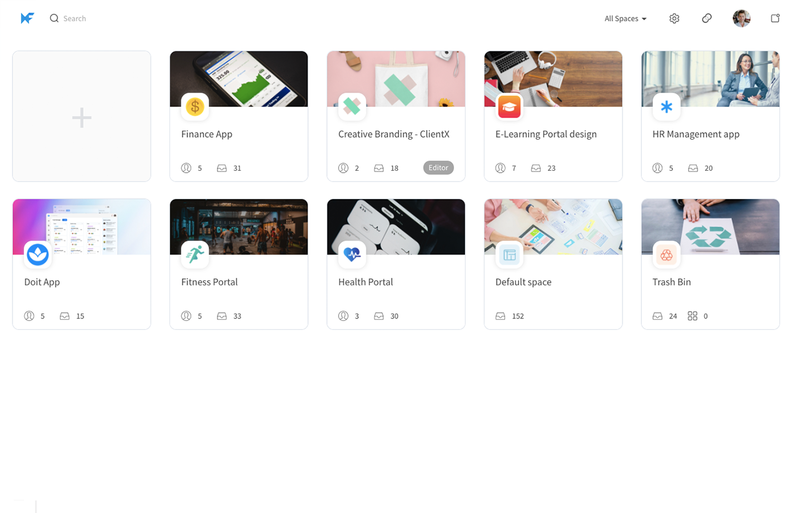 Its UX suite is replete with a set of useful tools that help you materialize your ideas on the screen so that you can visualize what they look like for real. 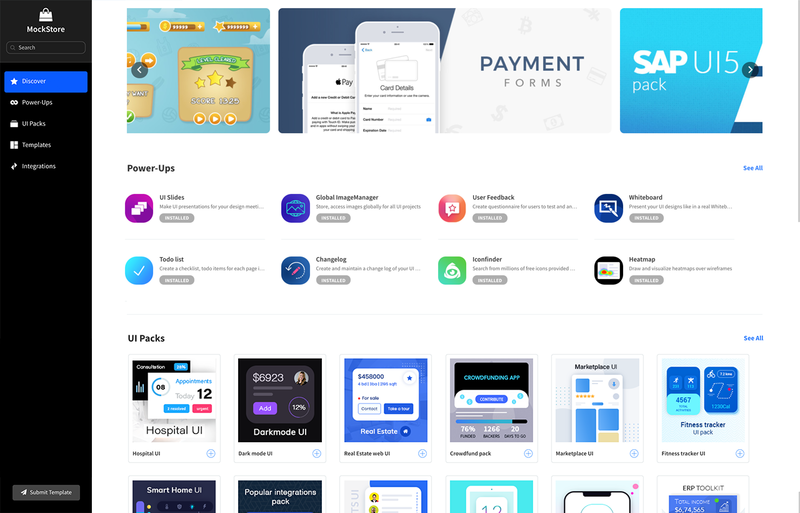 The in-app store has tons of components, templates, and UI packs. With MockFlow, teamwork is made easy as all the tools can be shared and used by the team members in real-time. Also, MockFlow integrates within its infrastructure some of the best-in-class and leading business apps to facilitate smooth workflow for collaboration and cohesion within the team. Just like the other tools mentioned above, MockFlow comes in a free and paid version. The paid version has three different pricing plans: Premium ($168/year), Teampack ($348/year for 3 users with the price going up higher according to the number of users), Enterprise ($1,920/year – for an infinite number of users). Now that you know about these excellent mockup tools, it’s time to go nuts with designing, right folks?